Beautifully Decorative Antique Earth Tone Persian Bidjar Carpet, Country Of Origin / Rug Type: Persian Rug, Circa Date: Early 20th Century – This antique Persian Bidjar rug, with its soft earth tone coloration, is a true hallmark of taste and sophistication. The earth tone rug colors seen here, beautifully compliments the cream colored floral Golfarang design that adorned the central field of this beautiful antique Persian rug. This play of juxtaposition colors and rug design is just one of the many awesome characteristic of the antique rugs that were woven in the Bidjar region. 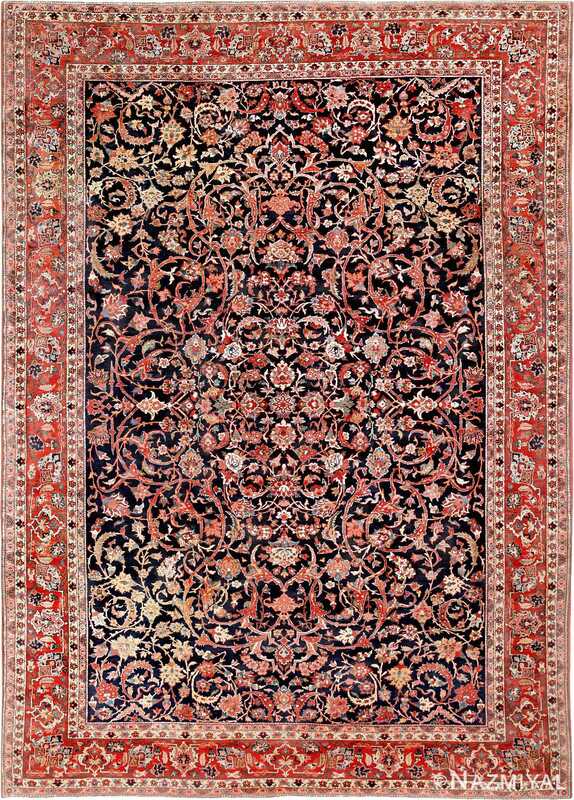 This particular antique earth tone Persian Bidjar carpet has an overall pattern similar to a garden. This makes it both easy to decorate a room around as well as live with. While most of the antique Persian Bidjar rugs tend to feature bolder and richer jewel tone coloration, the use of softer more neutral colors of this example, make it quite unusual and far more rare. The elegance and grace of the Persian Bidjar carpet’s larger scale floral pattern adds an air of whimsy to the antique look. 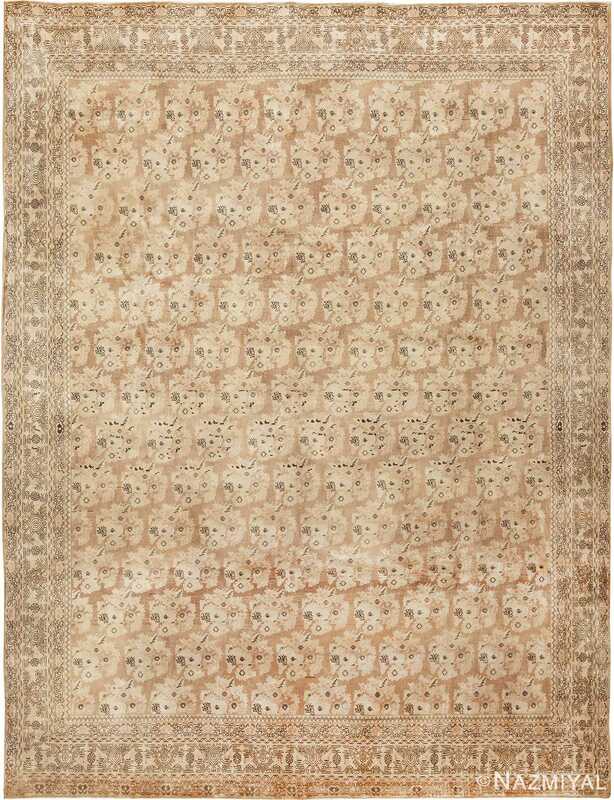 This charming and enticing rug would be a lovely addition to any contemporary or modern home. Also, the more soft neutral colors and the more geometric feel, make it easy to incorporate in a wide range of interior designs. Regardless of you overall approach to decor, this rug will surly be great piece that will not only warm up the space, it will also offer a beautiful texture and pattern that will make everything around it stand out magnificently.